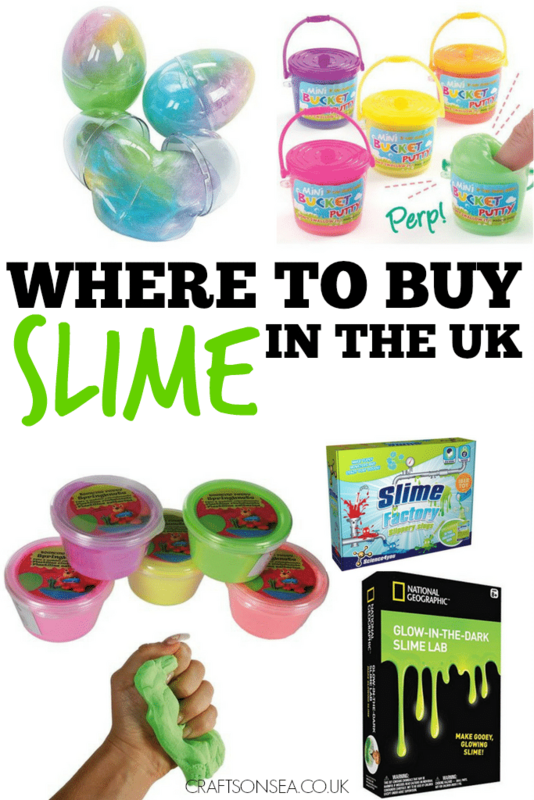 I know some people would rather buy slime than make it themselves today I’m sharing where you can buy slime in the UK. Slime is cheap to make but it’s also pretty cheap to buy too so if you don’t have shops locally where you can buy the ingredients for making slime or you just don’t fancy getting in a mess buying slime is the best option. 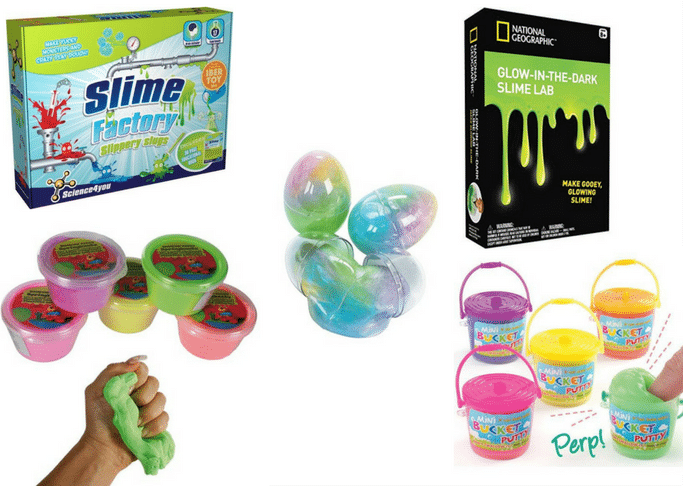 National Geographic Slime Set – Make your own DIY glow in the dark slime! John Adam’s Dr. Toxic’s Slime Lab – make your own coloured slime in this fun laboratory set. Science4You Slime Factory – make slippery monsters and silly balls with this kit as well as finding out what atoms and molecules are. Slime in a tub – I love the colours of these – I think maybe the pink slime is my favourite? Glitter putty eggs – super pretty glittery slime, I love how each egg has more than one colour too. Want more ideas? Check out our list of over 40 sensory play ideas for kids!